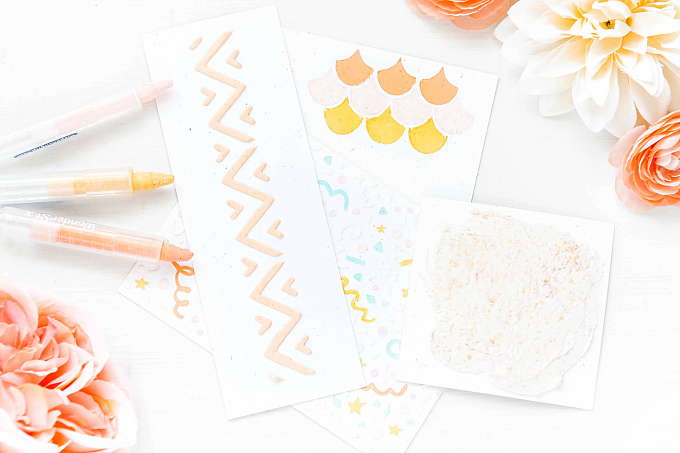 I have been long awaiting a summer-y stamp set from TCM and today I get to show you yet another creation I've made using one of the most adorable sets of this year (IMHO)! 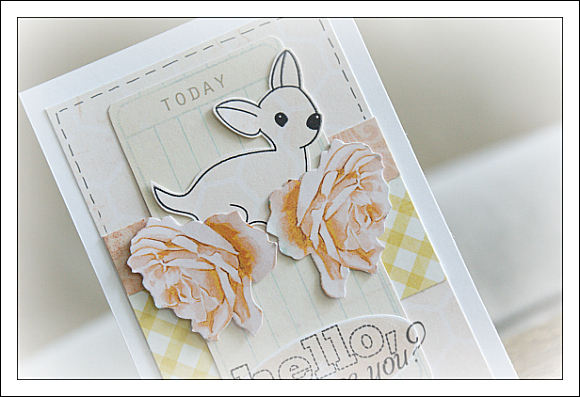 Summer Fun was designed by Kaitlyn Ord, and both the card I showed yesterday, and the one I am showing today, are two of my personal faves from this release! For those of you who know me & my scrapbooking style, you might say that this stamp set is completely out of my comfort zone, and you would be a little bit right. What you might not know, is just how much I looooooove summertime and anything to do with it! Because of this and because I can customize these beautiful stamps in any color combination I wish, I can still get away with my signature girly look, while having fun with this set! So fun, right?! 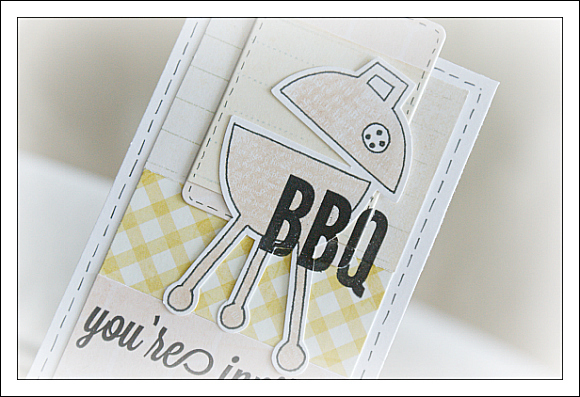 I looooooooove the bbq stamps (both the image & wording)...So often I want to send out casual invites for summer parties, or bbq's...But finding the right paper is always so difficult! 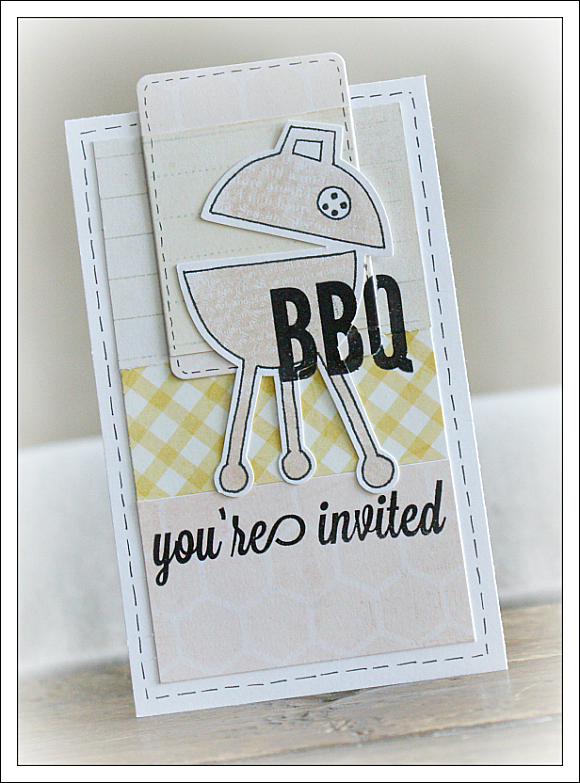 This way, I combine colors & papers I like and add the graphics with the stamps! The other thing I've really started to notice with my TCM stamps is just how incredibly well they are made. The quality of the acrylic is like no other! When I used to get patchy spots, I always thought it was the stamps fault. I didn't realize that with the right ink, the well made stamps would perform better, and that this would bring the stamped images to life, with crisper edges, more saturated impressions, and finer details. I've started using the Ranger Archival Ink for any of my black stamping because when combined with TCM stamps, the image quality is fantastic. An added benefit, is that the ink is also waterproof, so it is perfect for Copic coloring or Distress Ink blending! 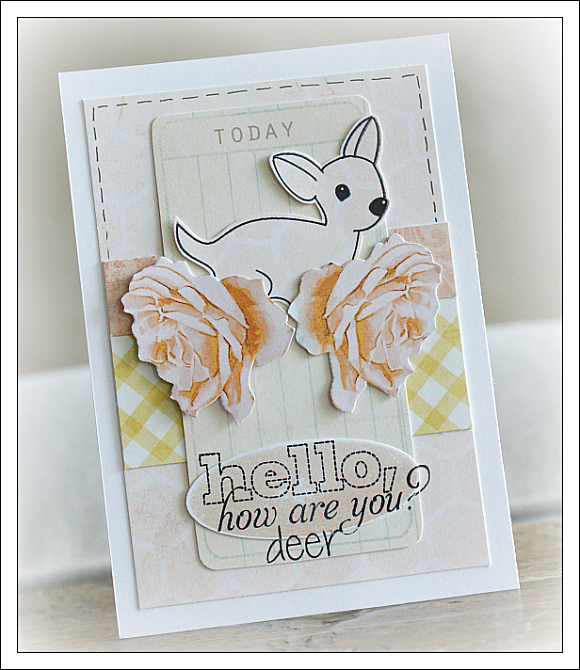 Next up, I've got a creation featuring a beautiful stamp set by Amy Wanford, who is one of our newest stamp designers! Her creations are so beautiful and I am so excited to see her artwork come to life in the form of beautiful stamps! 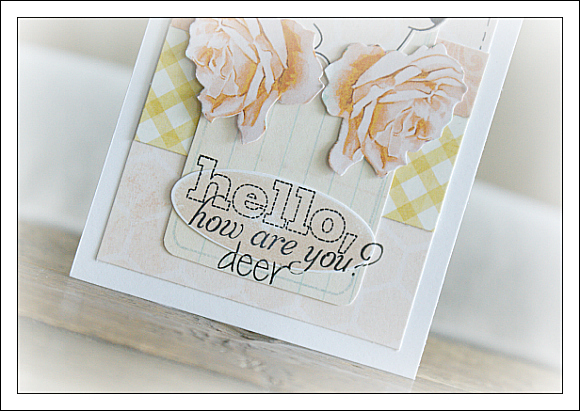 Here is my card featuring Amy's Oh Deer stamp set & a beautiful sentiment from Nina's Stitched Sentiments stamp set! Again, a bit of a departure from my style, but soooooooo incredibly cute!!! I also love how the stamps all work so well together! If you can see in the above picture, I added the 'Hello, how are you?' sentiment from the Stitched Sentiment set, and then the 'deer' from the Oh Deer set. The papers on both cards are from My Mind's Eye, from the Follow your Heart collection. I am rushing off again, but I will be back tomorrow! I've got many more projects to show! I'm loving this style of yours, Ivana! 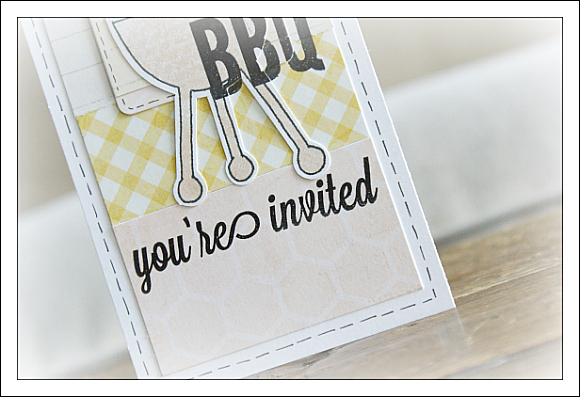 I love how you've paired two sentiments to create a shiny new one! Fabulous!